The tunnel boring machine (TBM) Ulrikke has broken through the final section of rock in the Ulriken mountain, Bergen, in a milestone moment for the new tunnel. 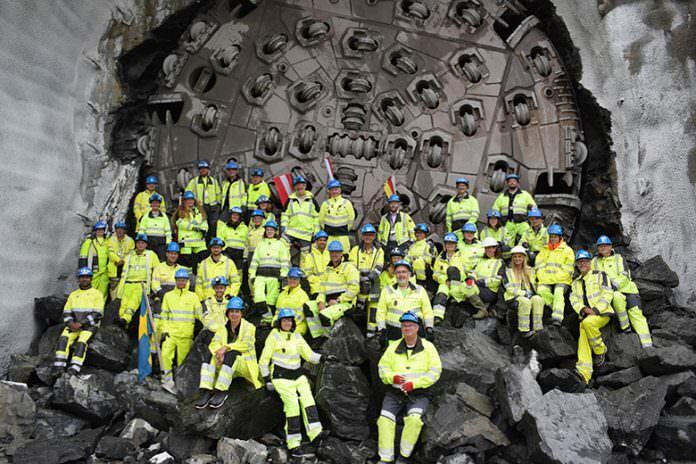 Norwegian railway infrastructure manager Bane NOR – who said it is the first railway tunnel in the country to be made with a TBM – announced that the drillhead broke through on August 29. Considerable work is still required before the tunnel becomes operational on the Bergen line, including 16 crossings into the old railway tunnel – which also passes through the Ulriken mountain. 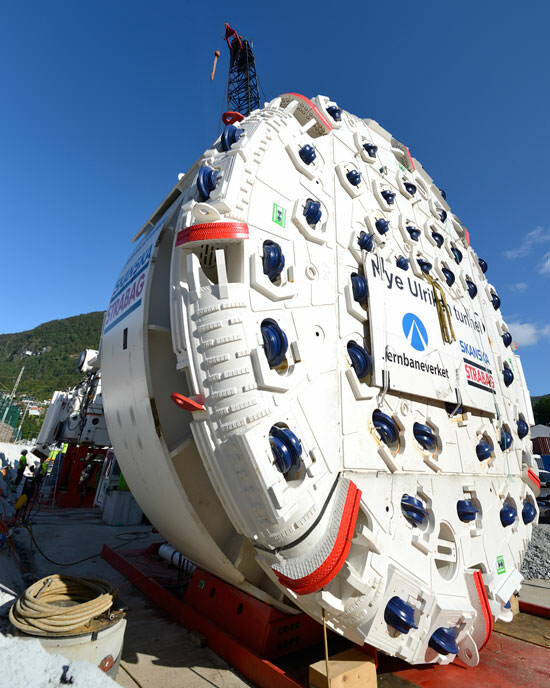 The tunnel boring machine Ulrikke. Credit: Øystein Grue/Jernbaneverket. Concrete will need to be cast, the tunnel will also be protected against water and frost and channels for cabling need to be complete before work begins on the track and signalling. The Herrenknecht-built TBM is 155m long and weighs 1,800 tonnes. It is owned and operated by contractors Strabag and Skanska and began tunnelling in December 2015, progressing an average of 15m a day, six days a week. The original Ulriken tunnel was build in 1964 but is a bottleneck on the Bergen line. Trains are expected to run through the new 7km double-track tunnel from Arna and Bergen by 2020, helping to double the capacity in the process.